Jennifer first commenced integrating health promotion strategies into her clinical work as a speech pathologist in the 1980s and has continued throughout her career including her recent roles in food security and child safety roles at Red Cross. She has worked in many sectors including health, disability, child and family services, early education and care, community development and organisational development. She has a passion for workforce capacity development and approaches that facilitate consumer self determination. Dr Julia Dray is an early career researcher having recently completed her PhD thesis on resilience as a potential approach for the prevention of child and adolescent mental health problems. 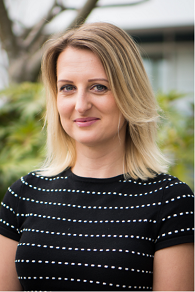 Julia is currently working as a Postdoctoral Researcher with the Hunter New England Population Health Research Group on an NHMRC Partnership Project relating to the provision of routine antenatal care for alcohol consumption during pregnancy. Julia also has experience in suicide prevention, clinical practice change and evaluation of complex health interventions. 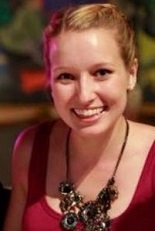 Julia is a member of the UoN School of Psychology Equity and Diversity working party, and joined AHPA as a member of NSW Branch Committee and Advocacy in Health Promotion Committee in 2016, the AHPA National Communications and Membership Committee in 2017, and is the NSW AHPA Branch Representative on the NSW Health Equity Alliance, NSW Council of Social Service (NCOSS) for 2018. 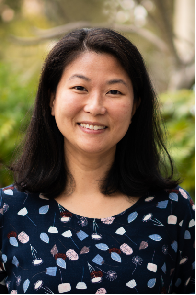 Dr Sarah Taki is a Senior Research Officer and Postdoctoral Research Fellow based at the Health Promotion Service, Sydney Local Health District and the Centre of Research Excellence in the Early Prevention of Obesity in Childhood (EPOCH CRE). 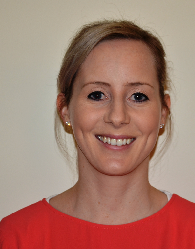 Sarah is an Accredited Practicing Dietitian and recently completed her PhD which focused on engaging parents in an mHealth intervention which supported parents with infant feeding behaviours that promote healthy weight gain. Sarah’s current research focuses on to conduct research for the implementation of the Healthy Beginnings program in the real-world setting. Her role includes facilitating with the development, implementation and evaluation of the Healthy Beginnings programs. Li Ming has extensive research experience in the fields of medicine, social science and public health in China and Australia. 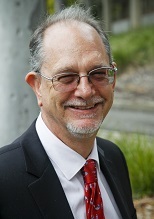 Since 2000, he has been the Research and Evaluation Manager in the Health Promotion Service of Sydney Local Health District. 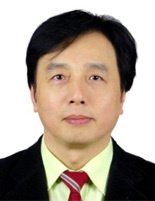 He is also an Associate Professor in Sydney Medical School, University of Sydney, and holds a position as Adjunct Professor in both the School of Public Health, Fudan University, and the Faculty of Medicine, Tongji University, China. He has published over 100 peer-reviewed articles and book chapters as well as a number of research reports. His current research interests include clinical trials and practice in the areas of obesity prevention, sexual health, physical activity, nutrition, active transport and tobacco control with specific expertise in the evaluation of public health and health promotion initiatives. Philayrath Phongsavan is Associate Professor in Disease Prevention and Health Promotion in the School of Public Health and the Prevention Research Collaboration, The University of Sydney. Philayrath is the academic lead in the disease prevention and health promotion stream in the Master of Public Health and Master of International Public Health degrees. Her research areas are in behavioural science, social epidemiology and health inequality, and investigating the effects of the built environmental on social relations and health behaviours. Philayrath is experienced in pragmatic evaluation of small- to large-scale translational health promotion programs. research into how and why researchers do research and the interface between research and policy and practice. He is also heavily involved in teaching postgraduate students, particularly those enrolled in a Master of Public Health. Additionally, he is conducting research into teaching and learning practices to help improve the learning experience for students. 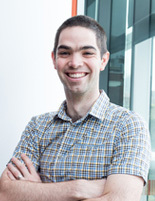 Before joining the University of Sydney, James worked in various NSW Government departments, predominately in research and evaluation of chronic disease prevention initiatives. 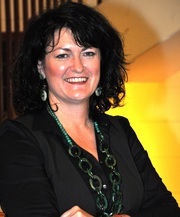 Dr Michelle Dickson is an Australian Aboriginal (Darkinjung/Ngarigo) academic in the Sydney School of Public Health, Sydney Medical School, the University of Sydney. She is the Director of Teaching and Learning, Course Director and Senior Lecturer on the Graduate Diploma of Indigenous Health Promotion Program, teaching graduate studies to Aboriginal and/or Torres Strait Islander health professionals. She has particular interest in community development, health empowerment and bringing education and community into the same place at the same time. In addition to community health experience, she has a strong background in Aboriginal and Torres Strait Islander education, employment, teaching, research, development and evaluation. Michelle has a particular interest in workforce development in the health sector. She has worked clinically in mental health and wellbeing, specifically in the alcohol and other drug sector and in health promotion with children, families and in school communities. Dr Rimante Ronto is a Lecturer in Public Health and mixed methods researcher within the Department of Health Systems and Populations at Macquarie University. Rimante’s research interest is in the field of public health nutrition, in particular obesity prevention, adolescents’ dietary behaviours, food environments, food policy, food literacy, food and nutrition education, and community gardens. Her doctoral research project focused on the role of food literacy in shaping adolescents’ dietary behaviours. Rimante is also a convener of several postgraduate units- Health Promotion and Disease Prevention & Global Nutrition and Food Security- within a Master of Public Health program. She is very interested in incorporating innovative strategies (e.g. social media- Twitter) into her teaching in order to engage students and help them to improve their learning experience. Dr Freya MacMillan is a Senior Lecturer in Interprofessional Health Sciences, based in the School of Science and Health at Western Sydney University. Freya is a diabetes prevention expert. 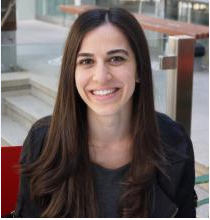 She uses her research skills to inform the development, evaluation and translation of lifestyle programs for people at risk and living with diabetes. Freya has a particular focus on working with communities and partners to identify sustainable approaches. This involves close engagement with the end-users and deliverers of the interventions she develops throughout all phases of her research. She is a CI in the Diabetes, Obesity and Metabolism Translational Research Unit (DOMTRU) funded by South Western Sydney Local Health District to tackle diabetes across the district. 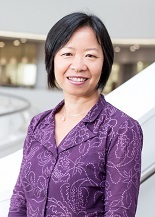 Dr Josephine Chau is currently Senior Lecturer at Macquarie University in the Department of Health Systems and Populations. She also has an adjunct affiliation with the Prevention Research Collaboration, Sydney School of Public Health, the University of Sydney. 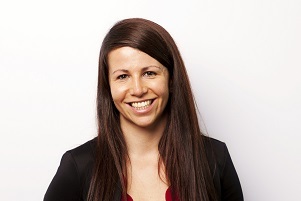 Jo has worked in the field of physical activity and health promotion since 2005. 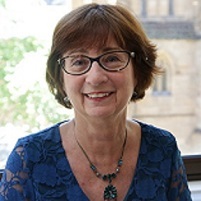 Her areas of expertise include physical activity and sedentary behaviour epidemiology, measurement and intervention; workplace health promotion; and program evaluation. She is also interested in media analysis about communication of health issues, such as sitting guidelines for office workers and claims that "sitting is [not] the new smoking". Her current passion project is investigating the potential for co-ops to improve food and vegetable intake in families from disadvantaged backgrounds. Kate has a Bachelor of Science Population Health Degree and a Diploma of Project Management. While completing her diploma, Kate worked on a smoking cessation project targeted at marginalised high school students and university students located within Sydney Local Health District. She has been employed by NSW Health for over 7 years and is currently working at the Cancer Institute NSW. Kate previously worked for a youth mental health service and youth health service. From this experience, she discovered her passion in helping to improve the health of others and empowering people to make positive lifestyle choices through health education and health literacy. She believes prevention is better than cure. Kate is looking forward to the opportunity to both learn from and contribute to the AHPA NSW Branch Committee.